What is Turbans and Trust? John Parker from the Canning Districts Historical Society invited the Sikh community down to Woodloes Homestead as part of the 2012 Foundation Day celebrations in Western Australia. There was a bus running between Kent St Weir (where the rest of the festivities were taking place) to Woodloes Homestead where we were lucky enough to have a wonderfully spacious area set up for us. As the busloads came through people were in for a surprise as they got more than they bargained for with a special piece of Australian heritage being tied upon their heads. Some people were surprised to learn that the turban is something that has been in Australia for at least 150 years! The Sikh team explained with a smile, "The cameleers, hawkers and peddlers all wore turbans of course!" 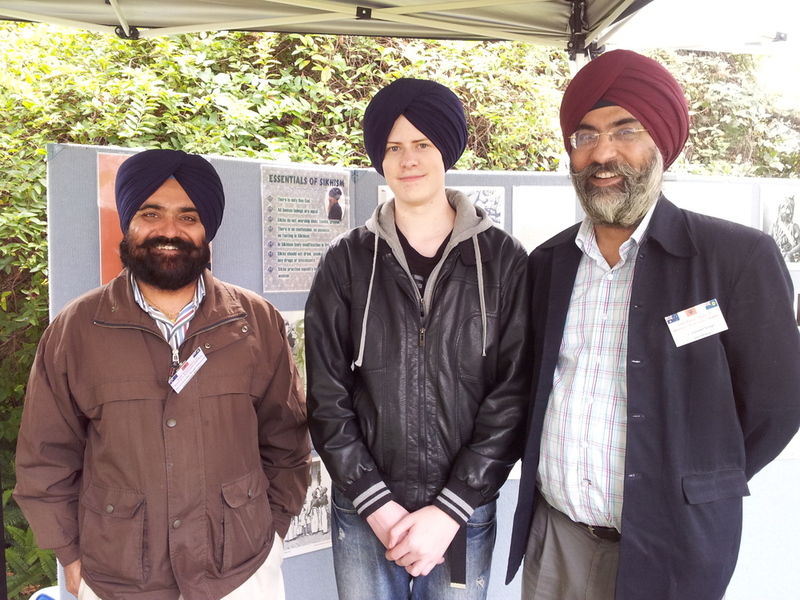 The Sikh community was represented by Dr Harminder Singh, Tarunpreet Singh and Harjit Singh. We were lucky enough to get to tie a turban on the local government representatives as well as our dear friend John Parker, President of the Canning Districts Historical Society. Thank you John!